LEANNE’S TOP WRITING TIP: JUST DO IT! There are a million and one distractions, interruptions or eruptions that happen in our lives. It’s like that old saying “ Do not wait to strike when the iron is hot, but make it hot by striking!” Procrastinating won’t make your dream happen. Once you are on your path to your dream then you can sweep, clean and polish along the way. Leanne White grew up in the beautiful seaside town of Albany. A very free-range child, Leanne and her brothers roamed the bush or beach for hours. Wildlife encounters (feathered, furred or finned) were part of their common day’s play. Upon completion of her teaching degree she was lucky enough to teach for two years in a remote Aboriginal community in the Pilbara. Here, Leanne experienced a way of life she had never thought of. The remoteness, isolation, Aboriginal culture and arid wilderness became ingrained. Later she moved further north to the Kimberley, and lived on a little farm surrounded by bush. Here the wildlife was even more exciting with brighter colours and a cheekier nature. In fact, it seemed the wildlife did not understand how to stay in the bush. Friendly inhabitants of her garden were a bower bird, whistling ducks, tawny frog mouth owls, frilled necked lizards, wallabies, bats, sugar gliders, frogs and dingoes (just to name a few!) This was when Leanne began to paint and write stories about birds, animals, reptiles and insects. 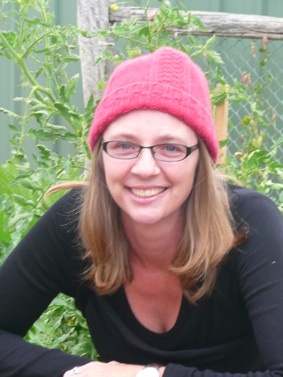 Today, living once again in Albany with her husband, two children, two dogs, two galahs and 20 chooks, Leanne has written or illustrated seven books. They are published through Wild Eyed Press, a small independent publishing company that Leanne and her husband Mark opened in 2010. 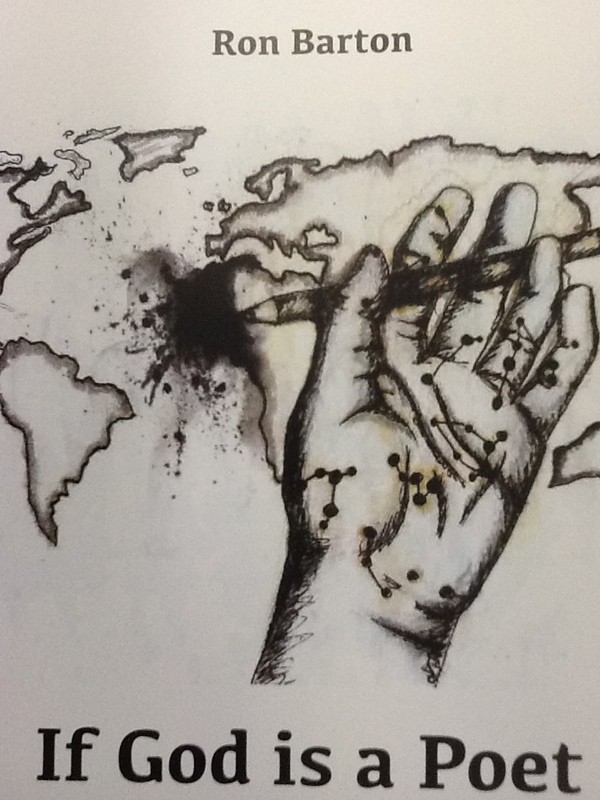 Wild Eyed Press is a small traditional trade publisher for authors and illustrators. The answer to everyone’s question is ‘yes’ – Wild Eyed Press is open for submissions. “I am frantically working on illustrations for new books. 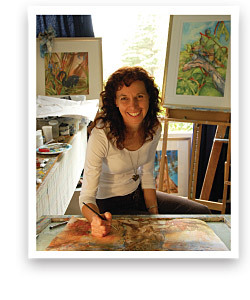 I spend many hours in my little studio listening to music or audio books as I draw, paint and then giggle at cartoons,” said Leanne. Why do you write? I always loved writing as a child. I remember my gran was a wonderful storyteller. She would tell us a story before bedtime; often these were just stories she had made up. I think the joy of story telling, once experienced, is something you never forget. I’m lucky enough to be able to draw and paint, and am surrounded by children all day at school, so writing for children happens quite naturally. What would you be doing if you weren’t a writer? At times I have worked as a professional artist, supplying galleries and commissions. It’s actually very stressful work, as you constantly have to find inspiration for your next body of work. By writing and illustrating I find I am very stimulated by the intellectual process required for a book to work: show don’t tell, the hidden illustrator’s story, shaping the curve of the story, the satisfaction of resolution. What was your toughest obstacle to becoming published? I was very lucky in this respect. When working as a professional wildlife artist I was producing print material for a large number of retailers all over Australia. When, through Wild Eyed Press, my husband and I decided to produce children’s books the market for them was already there. The toughest part was overcoming the fear that they would not be up to scratch. There are some very good editing services to help with this, and my writing group is pure gold! What’s the best aspect of your writing life? I find the whole process the most fun. I love daydreaming about the stories until I am ready to begin writing. I love creating the characters, crafting the story, planning the illustrations, altering illustrations and then following them through as a sequence. I also love it when a mum tells me my book is her child’s favourite story and has to read it every night. —the worst? The worst part is not being able to totally devote all my time to writing and illustrating. I think this is a common moan! What would you do differently if you were starting out now as a writer? As William the Wild has developed into a series I would have tried to anticipate this. What do you wish you’d been told before you set out to become an author? Join up! There are some amazing organisations that will offer professional help in every aspect of writing or illustrating. Along the way you will meet the most generous, inspirational people who become your network of friends in the solitary world of writing. I love my writing group! William the Wild loved to play. 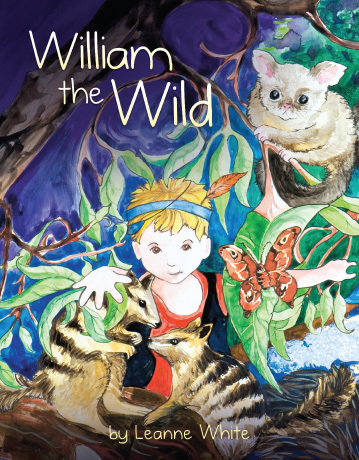 “William the Wild” is a little boy who lives in a world of fantasy. In his world he is the intrepid explorer who encounters Australian wildlife in every situation. The text is for beginning readers with simple word selection and a gentle rhythmic rhyme. Illustrations are in bright vivid colour with a busy ‘look to find’ composition. 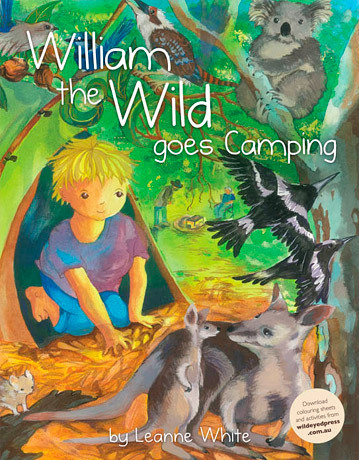 The themes of these books are imaginative play, nature play and our wonderful natural Australia. Don’t write for anyone but yourself. Write the stories, plays and poems you want to read. If you are honest in your appraisal of your own work and have, indeed, created something you would buy then other people will like it too. Ron Barton is a hairy male with salt-and-pepper stubble (32). Likes long walks on the beach but prefers an afternoon of sitting on the couch watching football. Seeking readers aged 13-90 for intimate relationship with his neurotic, poetic self. Author of Ginninderra Press’ If God is a Poet, but modest despite this arrogant title. If you’d like to read between my lines, or just read the lines themselves, follow @Teacher2Poet. 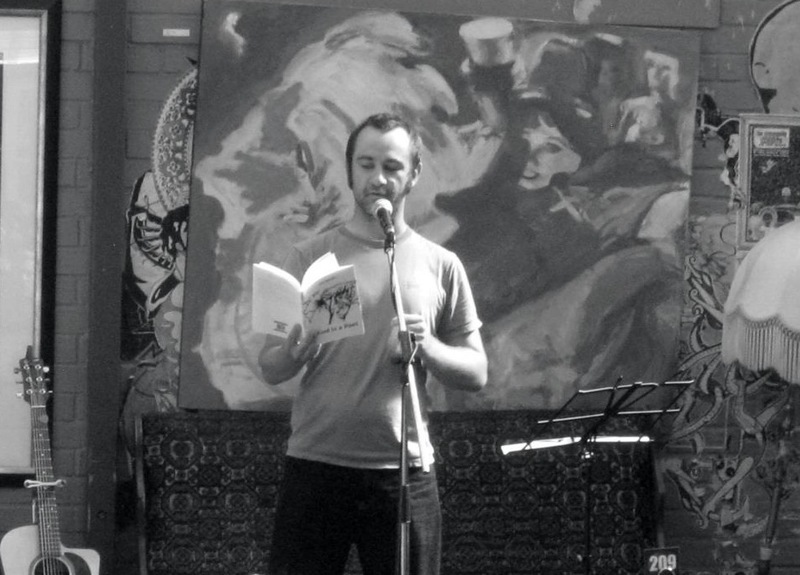 In the 12 months since then he has had poems published by Deakin University and displayed at the Sydney Fringe Festival and the University of Western Australia. He has also reappeared in Tincture with a postmodern shot story. Currently in the works are a collection of short stories and another anthology of poetry. Why do you write? I don’t think I have a lot of control over it. At times, I just feel compelled to put pen to paper. Generally it’s a reaction to issues going on in my life or things I’ve found interesting that have sprung out of conversations. What I find strange is that I had always imagined being an author but I’d never considered poetry to be the form in which I’d write. As a teenager I wanted to be the next Stephen King, not the next Bruce Dawe – it’s funny how life pulls you in unexpected directions. What would you be doing if you weren’t a writer? Career wise, I’m a teacher first and foremost. This was a deliberate choice so that I was constantly engaged in language and literacy with the expectation it would aid me in the writing process. In regards to spare time, if I wasn’t writing I’d probably throw myself into sports more or, heaven forbid, waste my life away on the couch. What was your toughest obstacle to becoming published? I’m actually one of the lucky ones. Getting published for me was a far simpler process than most seem to go through. I’d stumbled onto a website that said a complete manuscript would have 60 poems or more and determined that if I wanted to go down that route I wasn’t far away. After writing and polishing a few more poems I sent my works off to seven different publishers and was fortunate enough to have one of them offer to produce my book. With regards to magazines and journals, I have been less successful. Although I’ve had a handful of poems (and one short story) published I’ve been disappointed by the rejection letters that have come from collections I’d love to be associated with. What’s the best aspect of your writing life? The best aspect of my writing life would be the doors it is opening for me. Last year a politician asked if I would coordinate a writers’ festival in Secret Harbour and we’re now looking at making it an annual event. I have also been a guest speaker at a variety of schools and at the Perth Poetry Club as a result of my book being published. —the worst? The worst part is that I get a lot of ideas at inopportune times, mostly when driving. I’m also finding that I don’t always get the time to write – teaching keeps me really busy. What would you do differently if you were starting out now as a writer? My original publisher didn’t have the option of an eBook on top of the physical product. The electronic market is huge now so I feel like I’ve missed out a little. I think if I was starting out now I’d be looking for different publishing outlets. What do you wish you’d been told before you set out to become an author? Get out there! If someone had convinced me to get involved in writers’ groups and workshops I would have met some incredibly talented people a lot earlier in my career – people who now inspire me in a variety of ways. What’s the best advice you were ever given? I haven’t actually received a lot of advice but one piece of feedback that has stuck is that my poetry “often has such innocence, something you are never afraid of expressing, something we should always hold onto”. I try to adhere to this where possible, to explore things from the naivety and untainted perspective often associated with children. It helps add that whimsical element to my writing. In this diverse collection of poems, Ron Barton explores the various aspects of his world that make him who he is. Regardless of the seriousness of tone, which is often tongue-in-cheek, each poem contains some element of his life – whether it be a reaction to childhood and fatherhood, or a reflection of his love of teaching and football. If God is a Poet encourages readers to question their values regarding Australian identity and gender roles without aggressively promoting a specific agenda. Here we see the professional writer experimenting with form, imagery and theme while remaining highly accessible and readable. LILY’S TOP WRITING TIP: Try first to get your book traditionally published, either print or digital. Try to get an agent too. Go through all the query and submission process because it helps toughen up your skin, and you are going to need that when you start getting those first reviews, because not everyone will love your book. And there will be people who not only don’t like it, but don’t finish it, and then tell everyone how much they didn’t like it and couldn’t finish it. Lily juggles part-time work and family with writing, and when not writing, likes gardening, walking, wine, and walking in gardens (sometimes with wine). In March 2013, her debut novel, His Brand of Beautiful, was published with Escape Publishing, and in May 2013, she self-published her novella The Goodbye Ride. She has just finished her third published work, Fairway To Heaven, set in the beautiful beach location of West Australia’s Geographe Bay. Why do you write? Well… I’d love to get to the day where my writing could fund my early retirement… in a manner far grander than that to which I’m currently accustomed! What would you be doing if you weren’t a writer? I’ve never thought of myself as a particularly creative person. For some reason once I had kids, creativity started flowing. Initially I went on a baking frenzy. I tried all sorts of cakes, muffins and biscuits without much success. Then I decided I might try my hand at painting. This ended in disaster. Writing was kind of the next fad that came along, but it stuck. What was your toughest obstacle to becoming published? I think it was for my closest friends and family to take me seriously… which equated to being given the ‘time and space’ to make countless writing mistakes and start again, and start again. It’s very hard to tell someone that you have spent all night on one page of work, which you then delete the very next morning. What’s the best aspect of your writing life? When someone says they enjoy your book – that’s magic. Also, I have loved some of the friends I’ve found in the writing community – both other authors and also bloggers, and readers. —the worst? When the words just won’t come out right and the whole thing becomes a huge headache, rather than something that should be enjoyed. What would you do differently if you were starting out now as a writer? I might have tried to train myself to plot and plan my stories… because this seems to work for other people. For me, plotting, planning and structure is too much like mathematics. It hurts my brain. So I just wing it with a very general idea in my head, and see what happens. What do you wish you’d been told before you set out to become an author? Not everyone will love your book and tell all their friends to rush out and buy it. What’s the best advice you were ever given? Never take a knife to a gun fight. It’s Golf, But Not As You Know It! One woman’s personal struggle to regain her mojo on a Busselton beach. 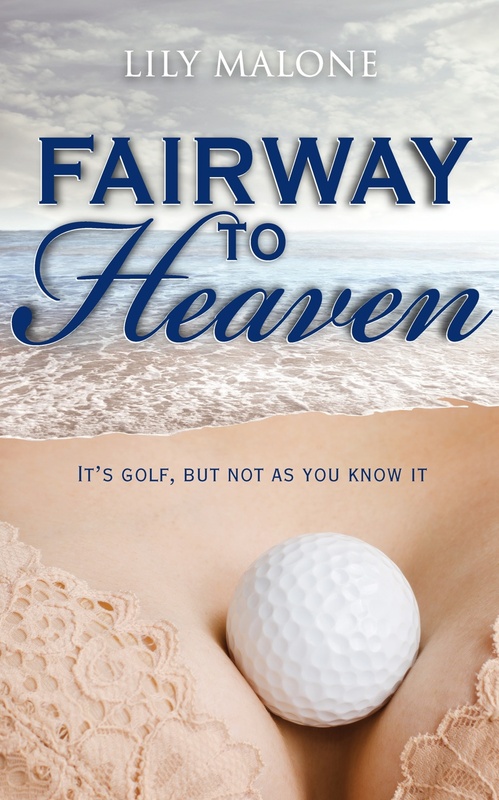 When Jennifer Gates drives to Sea Breeze Golf Club to kick off date-night with her boyfriend, the last thing she expects is to find Golf-Pro Jack giving one of his lady students a private—and very personal—lesson in bunker-play. Lucky for Jenn, her best friend gives her the keys to the Culhane family’s beach shack on the white-pepper shores of Western Australia’s Geographe Bay. Jenn hopes a weekend on the coast with her young son will give her the space she needs to rebuild her confidence after Jack’s betrayal. But she’s not the only person seeking sanctuary by the sea. Brayden Culhane is there too, and Jenn can’t look at Brayden without remembering the tequila-flavoured kiss they shared on the shack steps years ago. As long-buried feelings are rekindled, and a friendship is renewed, Jenn knows it is more than lazy summer days bringing her mojo back. Romantic sunsets, ice-cold beers and the odd round of golf can only go so far, because this time, trusting Brayden with her heart won’t be enough. Jenn has to learn to trust her body, too. FLEUR’S TOP WRITING TIP: Keep trying and doing what you love. You may never get picked up, but you might too. The most important thing is that you’re doing something you really enjoy. Oh, and a unique voice and original storyline will help too. 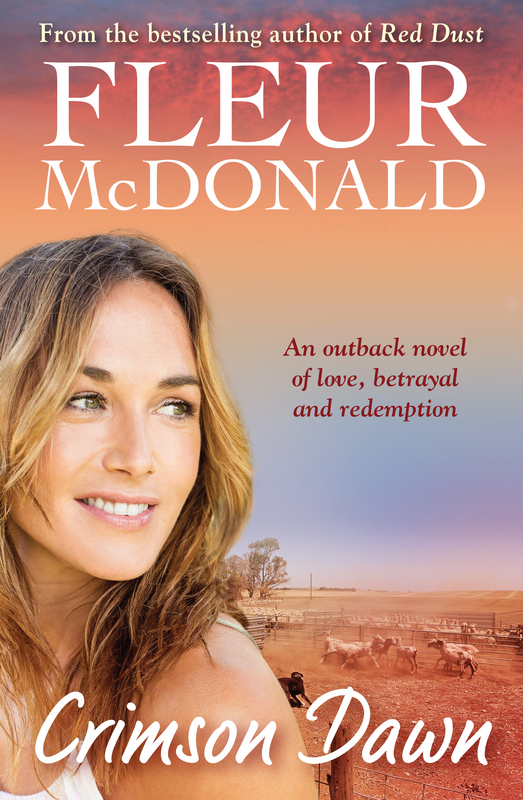 Fleur McDonald lives on a large farm east of Esperance in Western Australia, where she and her husband Anthony produce prime lambs and cattle, run an Angus Cattle and White Suffolk stud and produce a small amount of crops. They have two children, Rochelle and Heyden. Fleur snatches time for her writing in between helping on the farm. Why do you write? Because I have to. I know that might sound strange but there is something inside of me that makes me put fingers to keyboard and tell stories. If I couldn’t write them down, I’d get a bit cranky I think! My fingers literally get itchy if I have something to say and can’t get to the computer! What would you be doing if you weren’t a writer? Well, I’m a farmer and a mum first, then a writer, so I do plenty of other things when I’m not writing. What was your toughest obstacle to becoming published? Actually it probably came after I was picked up. The first edit I ever did with my publishers, Allen and Unwin, was very confronting. The editors are really very good – they never use red pen to make you feel like you’ve done anything wrong (!) but when you see every page of the manuscript covered in writing suggesting changes, it can give your self confidence a serious bashing. What’s the best aspect of your writing life? The fact I get to tell stories, kill people if they annoy me and make it rain when it won’t in real life! —the worst? Trying to pull all the threads of every subplot I have going together into something that is plausible. What would you do differently if you were starting out now as a writer? To be really honest, I wouldn’t change anything. I was so naïve back then, I wasn’t daunted, so I could get in and have a go without knowing what I was doing wasn’t ‘the norm’. What do you wish you’d been told before you set out to become an author? Writing is actually bloody hard work! What’s the best advice you were ever given? Never plot or plan. If you don’t know where the story is going then your readers will find it hard to work out too.